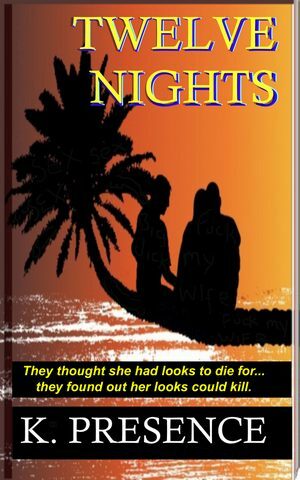 Cher, Kent, Dale and their new vacation friend Samantha revel in fragrant thrills this tropical night; each exploring new erotisiscms... but is one of them capable of murder? When a last minute job opportunity forces Dale’s wife to miss out on their planned Hawaiian vacation with Kent and Cherise, the trio thinks the next 12 nights will be a bust. 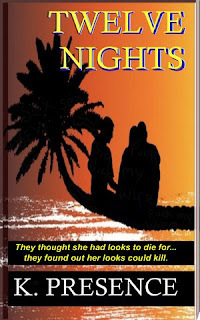 Dale devises a plan to spice up their tropical nights; but before he can put his plan into play, Dale meets sultry spring breaker Sam on the beach. She quickly becomes the highlight of a vacation where each had hoped for something different and exciting to happen. Sam is more than any of them could have dreamed of ...an ideal fantasy for each of them. Until they awake in their Deluxe Ocean View suite to find blood. Too much blood. Sam is missing. The trio suspect foul play; but who? Why? Sam had ignited passions, awakened uncharted sexual desires. Could one of them have caused her harm? Could she have staged her disappearance? They strain the limits of their friendship to find out what has become of their mysterious new lover. Can their friendship endure? "Not heavily laden with explicit scenes- just enough to set the stage." "A great vacation or day off read." "Hate trashy, raunchy erotica? Like to spice it up without needing a shower after? Twelve Nights is the Chicken Soup for too much Grey."